Irtiza Nishat is one of the foremost Urdu poets in India. He belongs to the generation of poets that came up in the seventies [70s], when Mumbai had become the centre of new trends in Urdu literature. The success of Irtiza Nishat lies in the fact that his poetry has the ability to stun you. It is beautiful and yet, harsh, at times. 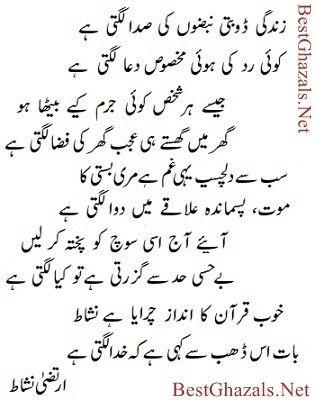 Read the ghazal, particularly, the third couplet, which is oft-quoted.